Blackberry has been updating their app which they recently added the ability to make Video calls directly on your BBM for Android and iOS devices. And now, they've added another nice features which i know the BBM lovers would like. BBM users can now make video calls on the BBM app on Android or iOS device. BBM has updated its app for the BB10 and Android devices. They've upgraded group chat, sharing of long lengthy videos. You can now start a group chat with up to 250 contacts. Photos, lists, and calendar updates display in chat. New Discover Screen – From the new Discover screen, you can get stickers and subscriptions. Upgraded group chat! Start a group chat with up to 250 contacts. Retract expanded to stickers, files, and more. 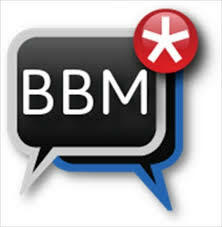 HOW TO GET THE LATEST VERSION OF BBM? Kindly log on to your respective app stores. Google playstore for Android phones, Blackberry World for the BB10 users. Then search for BBM and update it. You should see the new features after the update. For the iOS users, don't worry, a new version of BBM will be released for you guys soon or later. Just stay glued.